Folding doors are usually used inside the house where normal doors cannot open fully. They are used for separating small areas inside the house, separating present rooms or even for closets. These doors fold from the middle and then slide towards the end. Furthermore, these doors are light, can easily be installed by anyone and of great use. 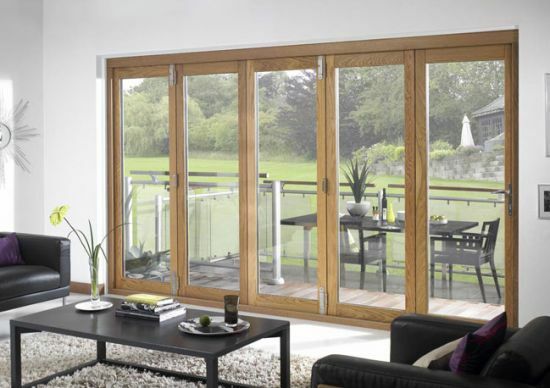 If folding doors are of same size of standard door then they will only stick out half as compared to the standard door. First of all you need to measure the width of the place where you are going to mount the folding door. You need to cut the appropriate length of the track where you will mount the folding door. You should leave enough space so that the folding doors will not damage surrounding walls. This can be achieved by cutting the track two inches less than the width of the frame measured earlier. Next you need to attach the track on the bottom and the top of the door frame. You will be required to use the provided hardware for attaching the track on the frames. After this you should tighten the screws which are mounting the track with the help of screwdrivers. Later you need to attach the door stops in appropriate places. You should first determine that which side and place you are going to fold the doors. Then place the door stops accordingly. Insert screws and tighten them with screw drivers or hammer. Next you need to mount the door in the door frame. You can do this by depressing the bottom hinge of the door and slide into the door frame. Let the bottom spring-loaded hinge slide into the bottom door stop. After this you need to depress the top hinge and repeat the process. You need to slide the folding into the door frame. Then you need to fit the track slides attached on the door into the tracks. In the end you need to check the door by closing and opening it for few times.